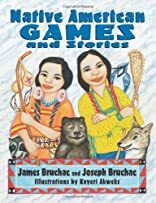 Provides young readers with Native American stories and games that both educate and entertain. About Kayeri Akweks (Illustrator) : Kayeri Akweks is a published illustrator of children's books. Published credits of Kayeri Akweks include Native American Games and Stories.